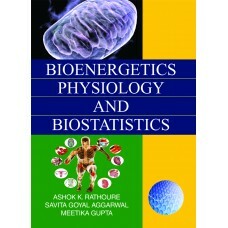 The present book entitled Bioenergetics, Physiology and Biostatistics is written keeping in mind the need for a text book on bioenergetic, physiology, biostatistics and computer to the students of university or affiliated college of UGC. 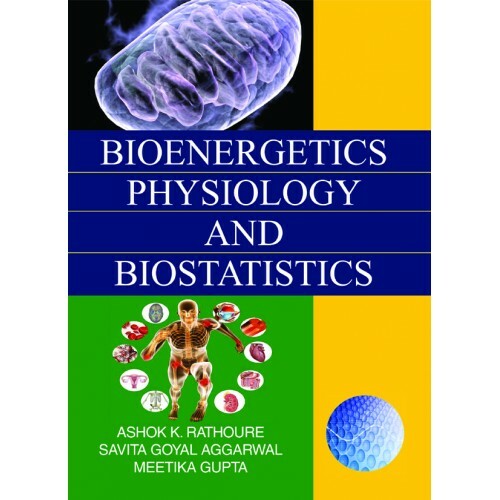 In this book, we begin by describing bioenergetics and bio-membrane, in which fundamentals of thermodynamics, metabolic pathways, ETS, fatty acid oxidation, biological membrane and its theory; transport mechanism across the membrane is illustrated with examples. In next chapter, the plant and animal physiology is discussed in detail. The last chapter have biostatistics and computer in which data, data type, graphical representation, measure of central tendency, correlation, regression, Z-test, Anova, T-test, Chi square test, introduction to computers, parts of computers, input-output devices, concept of file and folder, booting, operating system, concept of software and hardware, various applications and use of internet in biotechnology is discussed with various examples. Some boxed material throughout the book is provided to illustrate the topics covered in the main text, explanations in depth that extend the coverage beyond the content of the main text. This book will extensively assist students, teachers and academicians to further extend their knowledge beyond the course work and related subject matter but onto the practical application to gain insights of what happening new in the present era of applied science.